The various Nigeria 4G networks are still scrabbling to expand their 4G LTE coverage but already there’s talk of 4G LTE-A or LTE-Advanced, which is essentially a far faster version of 4G. So if you think you’re getting good speeds now on your fancy new 4G devices you ain’t seen nothing yet. Read on for the low down on just how fast it is, how it works and when you can get your hands on it. What is 4G LTE Advanced? 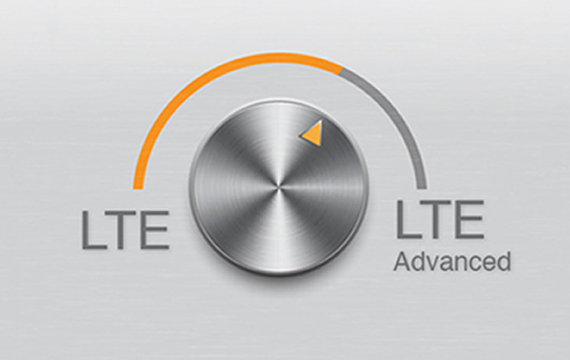 4G LTE Advanced stands for Fourth Generation Long Term Evolution Advanced. This is the latest standard in the development of 4G mobile networks and has been designed to offer users of 4G mobile devices such as Dongles, Mobile Hotspot (MIFI), Tablets and Smartphones far faster data speeds than those on offer from existing 4G LTE networks. 4G LTE Advanced will offer clearly verifiable faster data speeds than the just-introduced 4G LTE offerings from other operators. The LTE-Advanced 4G network will be launched in Nigeria by Bitflux Communications, where our partners; (ISPs, MNOs and RSPs) subscribers will be able to enjoy peak download speed at 300Mbps. To put that into perspective, the most optimistic speed for normal 4G is 100Mbps, although those speeds have not been achieved in Nigeria as yet. These faster mobile services enable users of mobile devices including Routers, Mobile WIFI (MIFI), Dongles, Smartphones and tablets to access the internet far faster than was previously possible. This means that web sites load quicker, gaming services can be accessed, full-HD video streaming service and demanding online games enjoyed without lag or stuttering, and media such as high-definition movies, TV shows and music can be streamed to devices at a far quicker rate than ever before. Other services that Bitflux will be able to launch with this new ultra-fast 4G-LTE-Advanced service include a group video chat offering, with better quality of video and audio than ever before. So how does 4G LTE Advanced actually work? That ultra-fast extra speed is attained by a combination of some neat processor work, which brings together the bandwidths from a number of broadcast frequencies, teamed up with a number of extra antennas. As far as your 4G devices are concerned, it means it has to have more complex antennae arrangements and more power under the hood in order to cope with all those streams coming into the handset. And, of course, like all smartphones, these extra features mean more power usage. We already know that 4G LTE uses more juice than 3G, and in turn LTE-Advanced will drain batteries faster than 4G. There’s no hard and fast answer as to how speedy LTE-A is. 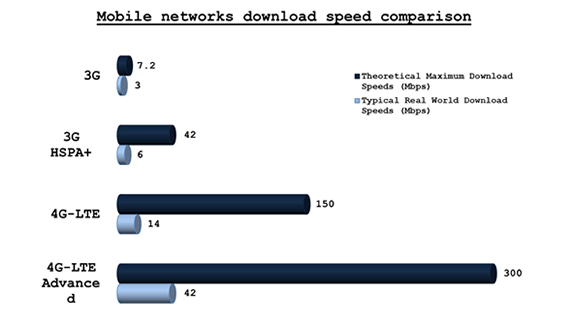 Theoretical peak download speeds stand at around 300Mbps whilst standard 4G LTE stands at 150Mbps. While we bandy about phrases such as speeds of up to 150Mbps, what does this actually mean to the user? Well, if you consider that 20Mbps is currently the top speed being achieved in Nigeria cities with present 4G offering, 150 Mbps looks pretty appealing, especially if you want to download HD films or play demanding games online. In real terms, if you had a stable connection of 100Mbps, it would mean you would be able to stream two movies at full 3840x2160 resolution at the same time. One of your favorite tunes could be downloaded to your 4G smartphone in 0.6 seconds as an MP3 file – and if you have a 2GB data limit on your contract, it could disappear in only three minutes using consistent real world speeds of over 42Mbps, making it around 3 times faster than standard 4G LTE speeds. When will 4G-LTE-Advanced come to the Nigeria? Bitflux is bringing LTE-Advanced to Nigeria in December 2014 in Lagos, Abuja and Port Harcourt. Our Partners will be able to offer their subscribers’ 300Mbps speed the end of 2014. The target devices to deliver the services to the customers are MIFI, Dongle, CPE, Tablet and LTE handsets, which are still few but will be available in 2015. Essentially while standard data connections use one antenna and one signal at any given time, 4G LTE-A uses multiple signals and multiples antennas. It uses MIMO (Multiple Input Multiple Output) technology to combine multiple antennas on both the transmitter (for example 4G masts) and the receiver (for example a smartphone). 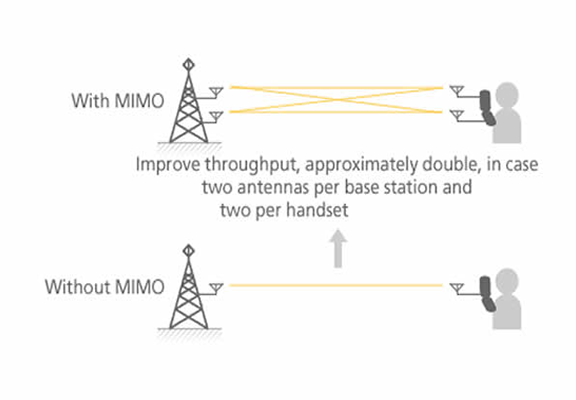 So a 2×2 MIMO configuration would mean there were two antennas on the transmitter and two on the receiver and you don’t have to stop at two, the more antennas theoretically the faster the potential speeds as the data streams can travel more efficiently. That technology is then combined with ‘carrier aggregation’, which allows a devices to receive multiple different 4G signals at once and they don’t even have to be on the same frequency so you could receive an 2300MHz and an 800MHz signal at the same time for example, none of which is possible with standard 4G.